My apologies to my dozen or so loyal readers for my prolonged silence. 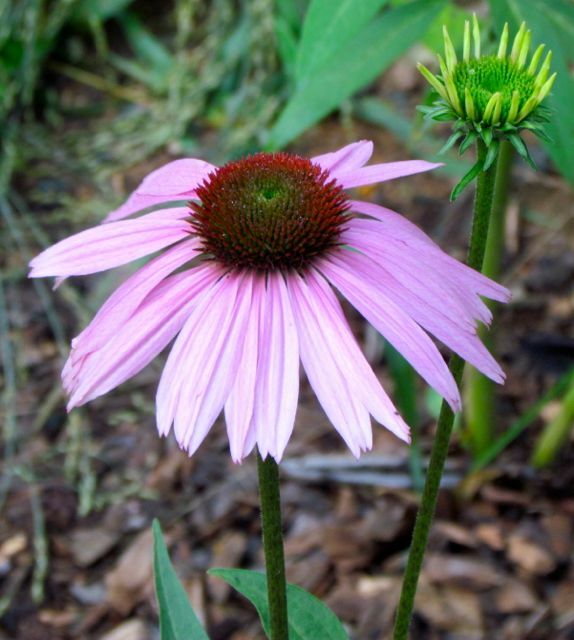 A gardening-related injury sidelined me unexpectedly. I start physical therapy tomorrow, and hope to be ready for another growing season by the time it arrives. I am overdue to summarize my experience with the free seeds Renee’s Garden provided me with as a member of the Garden Writers Association. First, I was unable to try three of the varieties I requested. The two sunflower types and a Four o’clock mix all required direct sowing. Unfortunately, my garden experienced no measurable rain for the first two months of the growing season, starting right about the time I needed to sow the seeds. 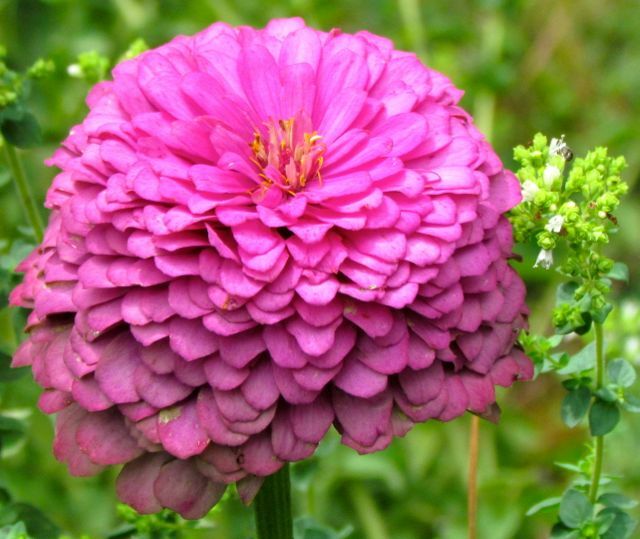 By the time the rains returned, it was mid-July — not a good time to start any flower seed in the piedmont of North Carolina. However, the seeds I was able to sow in my greenhouse in early March all germinated magnificently, and I was able to transplant out a number of seedlings that performed quite well for me all summer long. I didn’t try any veggie varieties from Renee’s Garden this year. Here are the flower varieties I grew. 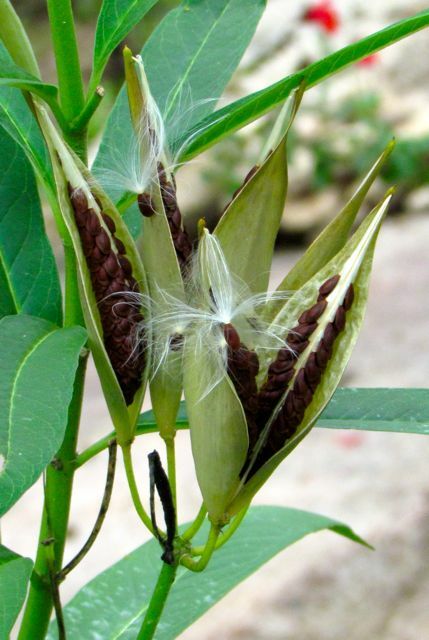 This is a non-native, tropical species of milkweed that was described as floriferous and tender, meaning winter should kill it. 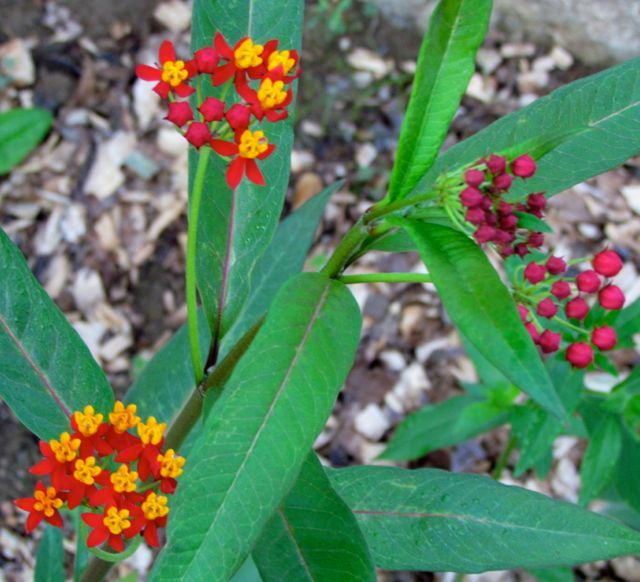 When I planted this, I had not read that these tropical milkweeds are actually confusing Monarch butterflies, especially in the western US, where groups migrating south are becoming confused by these flowers. 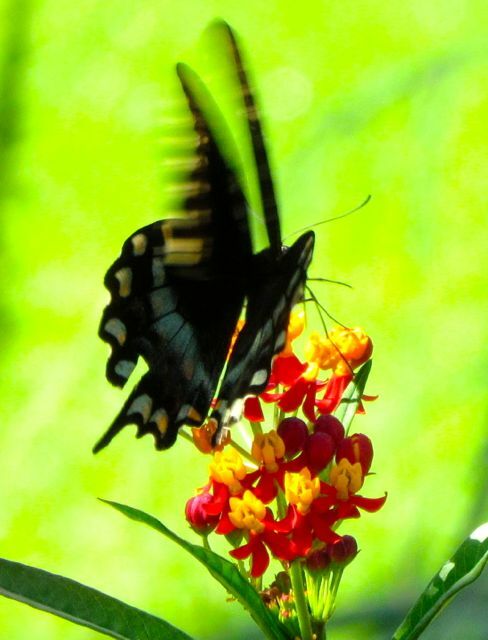 Instead of resting and then flying further south, they are laying their eggs on these tropical milkweeds, thereby disrupting the life cycle pattern of the Monarchs. I don’t think this is an issue in the southeastern US, because the first freeze kills this variety to the ground. As you can see from the photos, the seeds I planted produced some plants with pure yellow-orange flowers, and some with red-orange flowers. The red ones were especially stunning. My plants bloomed all summer until hard frost, and grew to a height of about four feet. The plants were sturdy, requiring no support to remain upright even during thunderstorms. 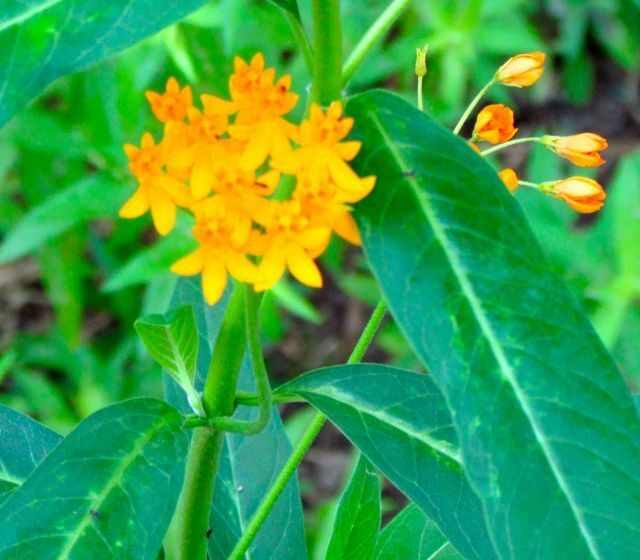 ‘Butterfly Bright Wings’ produced abundant seeds. They produced many seed pods, and the resulting seeds yielded a number of volunteer seedlings in the bed where I transplanted this variety. I’m assuming all were killed by the first freeze. I’ll let you know next spring if any reappear. I didn’t take a single picture of this variety that I liked enough to put in my blog. 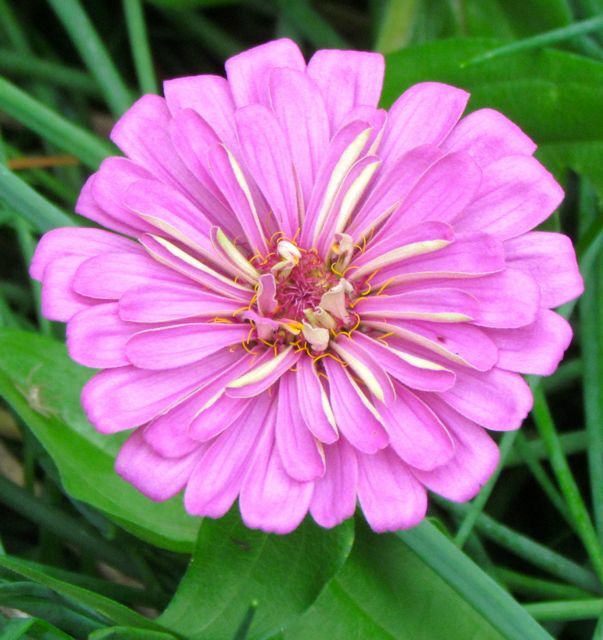 This variety produced larger plants than my favorite Queen Sophia marigold, and the branches broke and split early on. The flowers themselves were kind of a ho-hum yellow. Give me Queen Sophia any day. 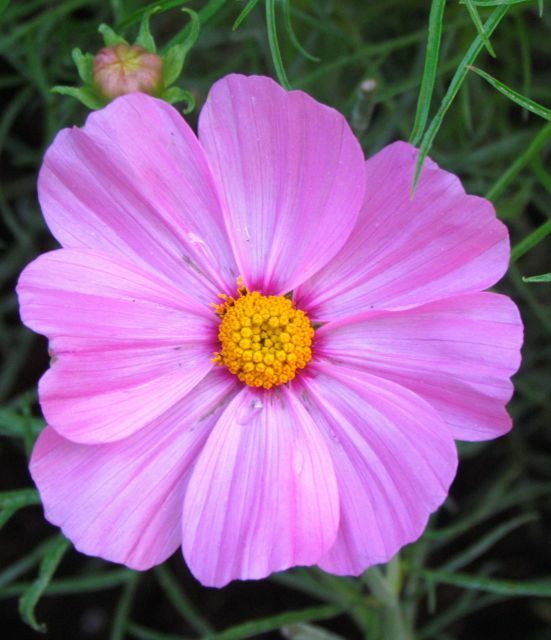 I tried this Cosmos variety, because it is supposed to be shorter than some of the others. It may have been slightly shorter, but mine all grew eventually to a height of about 4.5 feet — not where my knees appear. 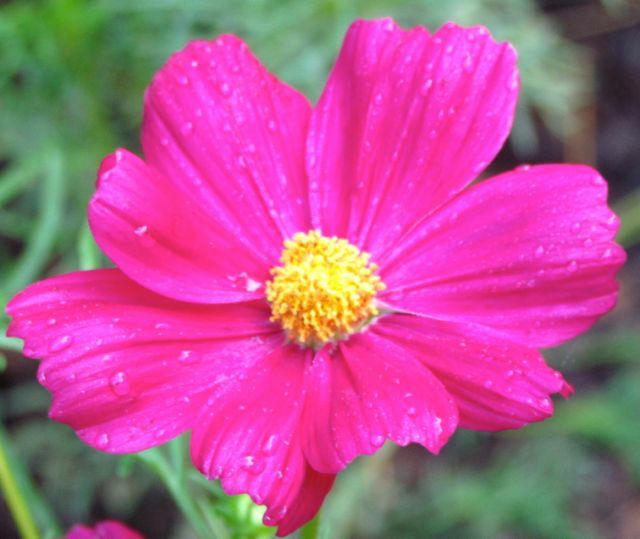 As is true for most Cosmos varieties, a spell of heat and humidity combined with hard rain turned the plants into fungal mush. But during the early drought period I mentioned previously, they were very happy. All three colors in the mix were lovely. 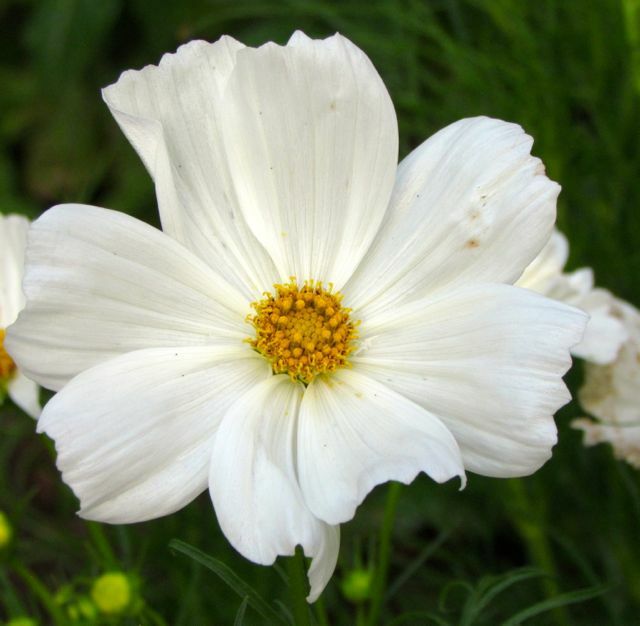 As is often the case, the white flowers tended to look the worse for wear most often. The pink and magenta versions stayed lovely for several days. After the fungus killed the plants, I pulled them up and left that bed empty. In September, a number of new seedlings appeared, clearly the offspring of the many spent flower heads I had snipped off to keep the flowers blooming. 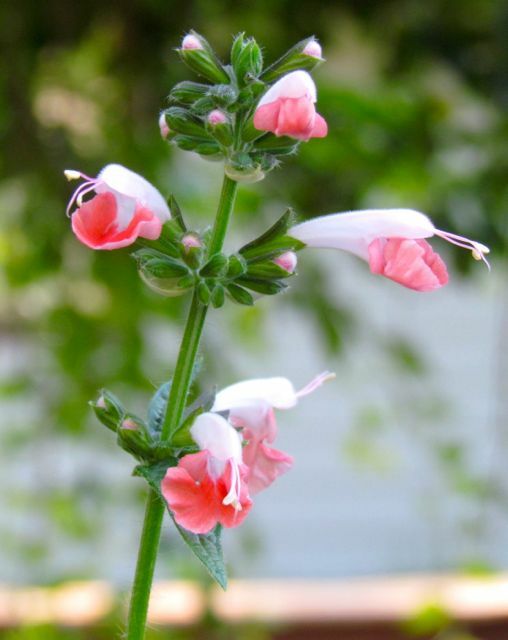 This is the only perennial from Renee’s Garden that I tried this year. 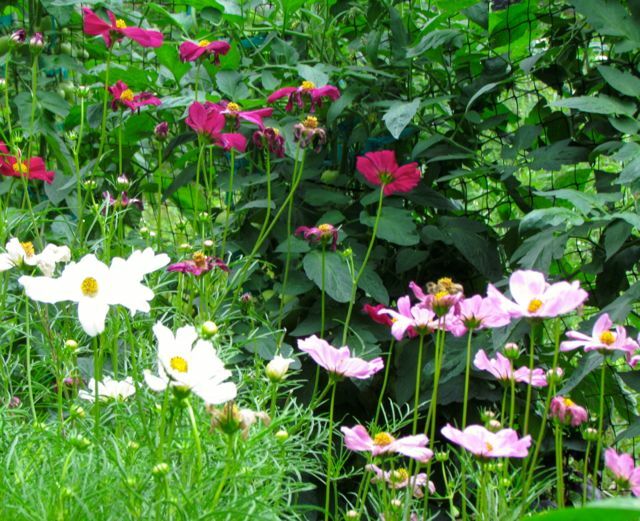 It often takes perennials a full year’s cycle to grow large enough to produce flowers. But one of the plants I grew managed to produce the lovely bloom above. This mix was advertised as producing flowers in the red-yellow-orange range, so I confess I was disappointed when the one flower I got looked very much like my native coneflowers, only slightly larger. Very late in the fall, another seedling produced a flower bud that looked to me as if it were going to be red, but a freeze killed it before it could open. However, all the seedlings I planted out grew well throughout the season, and I’m hoping for lots of variably colored flowers next year. Dahlias are usually considered to be perennial flowers in my area, but the seed package from Renee’s Garden called this variety an annual. I love dahlias, but most are large and take a lot of room, plus deer love them. The description of this variety was irresistible. My sowing yielded 5 plants, 2 of which were eaten by voles early in the season. Of the three that survived, one was a lovely white with pink undertones, one was a double yellow, and the other was a single yellow. All bloomed nonstop all summer, no doubt aided by my attentive snipping of spent flower heads. I also sprayed them all summer with deer repellant. 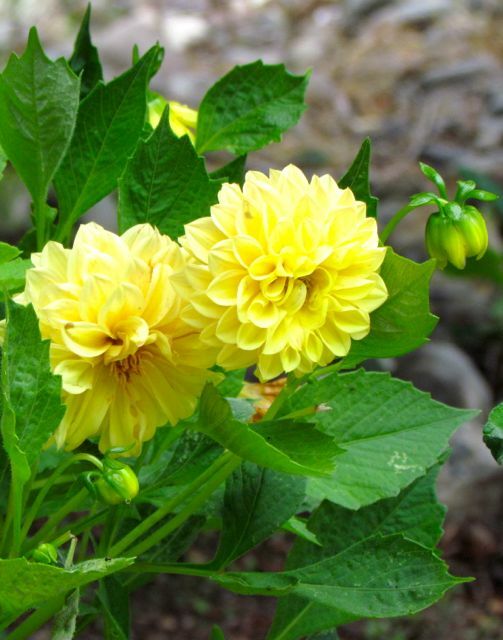 I interplanted them with two other varieties from Renee’s Garden, and because these dahlias really were dwarf varieties, they were a bit overpowered by what turned out to be larger flower varieties. But that did not prevent the pollinators from finding them. After frost zapped these plants, I decided to see what their roots looked like. To my delight, all three had formed a significant number of tubers. They seemed to be in excellent condition, so I bagged them up with some dry potting soil and put them in my cool garage for the winter. I’m hoping the tubers will re-sprout for me next spring, despite their description as annuals. I tried this annual last year and failed. It would not germinate for me in the greenhouse. What a difference a year makes. I got abundant, vigorous seedlings this year, all of which successfully transplanted, eventually growing to large (3.5 feet), multi-branched, perpetually floriferous bee magnets. For reasons known only to my camera, I didn’t get any great pictures of that bed, but trust me, they are well worth growing. 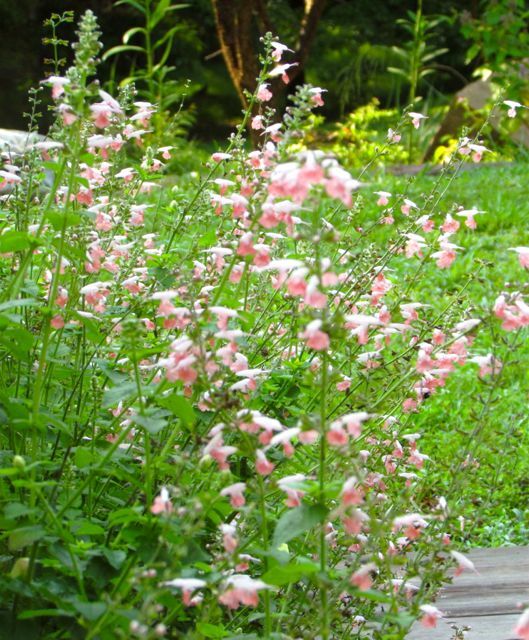 Salvia ‘Coral Nymph’ looked great all summer beside my front walk. 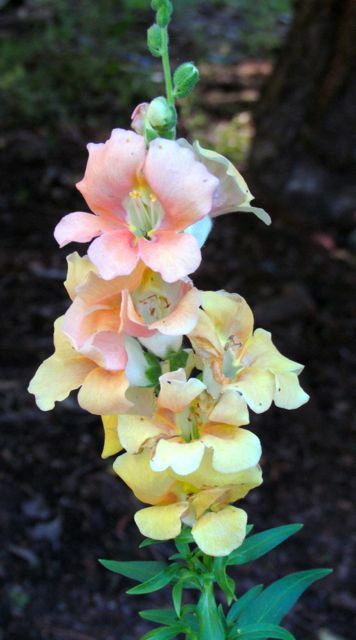 In bright sun, these snapdragons faded into the background. 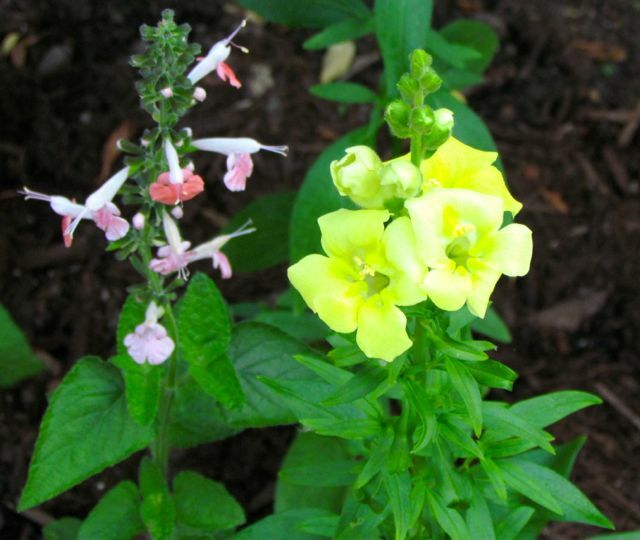 This snapdragon mixed-color mix germinated well, and the flowers bloomed all summer long. However, the mix did not produce colors I liked. They were mostly muted and muddy. One pure lemon yellow one was the exception. I won’t try these again. 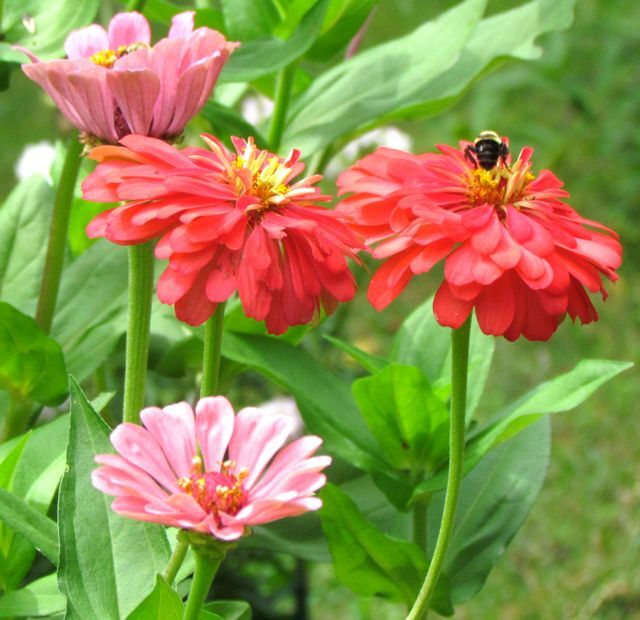 This zinnia mix did not grow as large as the variety I tried last year. Instead of attaining heights of nearly eight feet, this variety stopped around the five-foot mark, which was fine with me. Even so, the stems eventually began to fall over and split from the weight of side branches laden with flower buds. 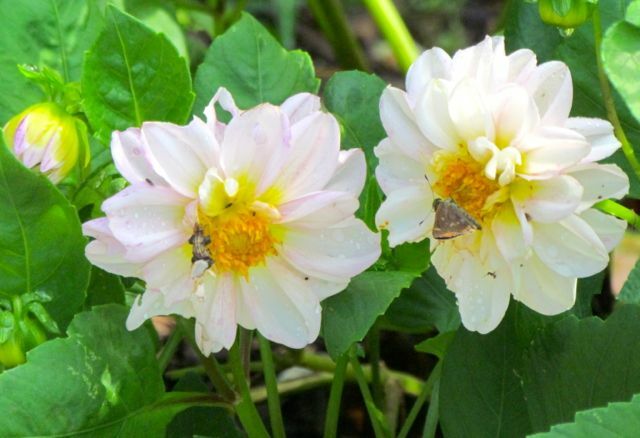 Despite their tendency to fall over and their eventual disfiguration by humidity-enhanced fungal diseases, these flowers kept producing until hard frost. 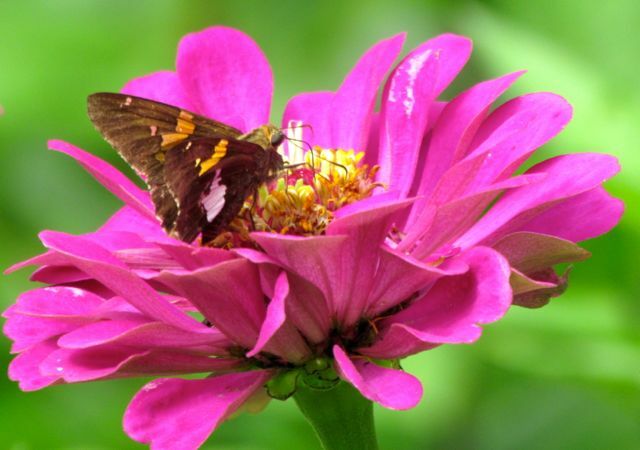 Every bloom attracted abundant pollinators, from bumblebees to butterflies. I loved the mix of rich colors and forms in this variety. They made for fabulous instant, long-lasting bouquets of cut flowers. I would happily grow this mix again, but next time I’ll space them farther apart, and I’ll introduce a support system early on, before they start collapsing under their own weight. I grew three varieties this year. This is my third year growing ‘Cup of Sun’. I just love it. It’s a clumper, not a climber, and in my garden, it remains politely in its place until late summer. For some reason, at that point in the growing season, it tends to go a little nuts, overgrowing anything in its path. Fortunately, by that time, most of the beds are done for the season. 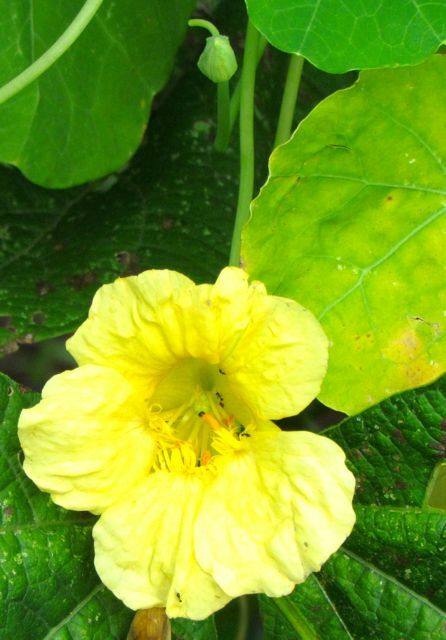 I interplanted ‘Cup of Sun’ with a new variety for me — another clumper called ‘Empress of India’. It was not nearly as vigorous as ‘Cup of Sun’, but it was quite lovely, producing leaves that were more blue-green than ‘Cup of Sun’. The climbing variety I interplanted with my pole beans this year was called ‘Moonlight’. 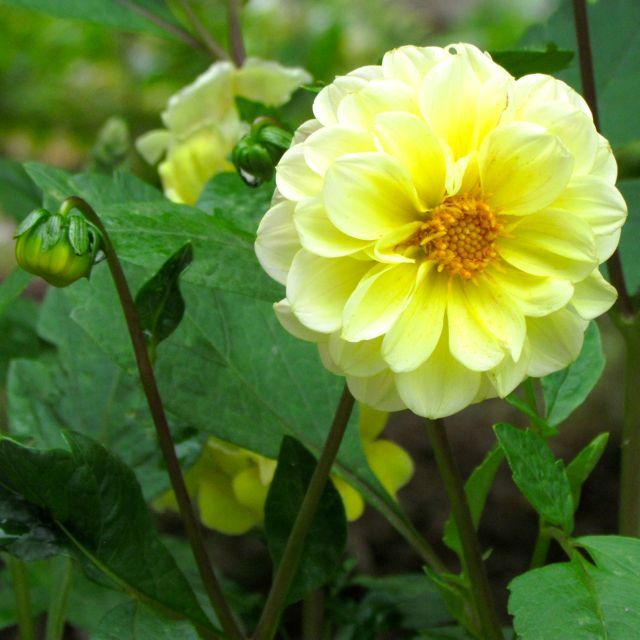 It produced a pale yellow flower that was not nearly as vigorous or visually effective as the ‘Spitfire’ variety I had grown before. If I grow a climber again, I’ll probably go back to ‘Spitfire’. 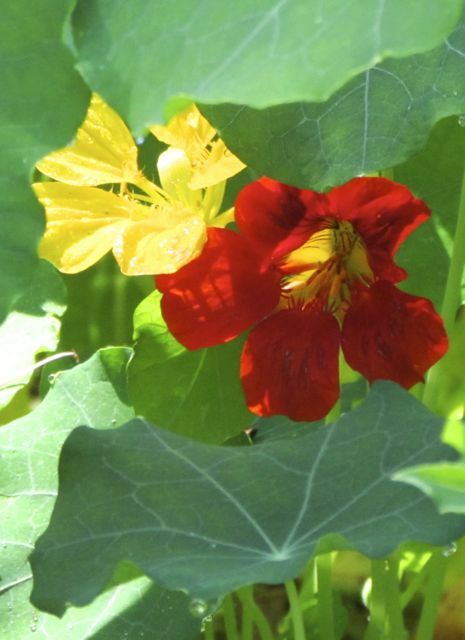 Nasturtium ‘Moonlight’ was OK but not memorable. 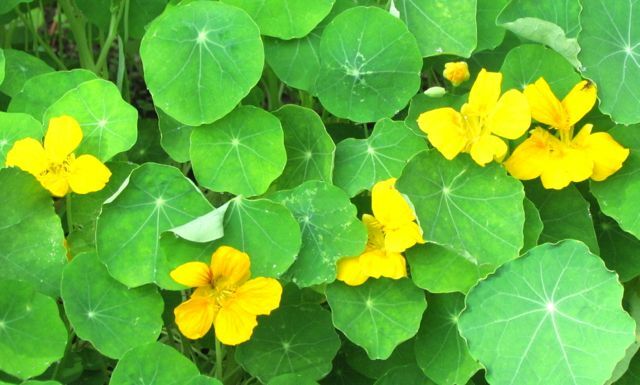 I direct-sowed all the nasturtiums when I planted my veggies, which is why they managed to become established before the early drought set in. 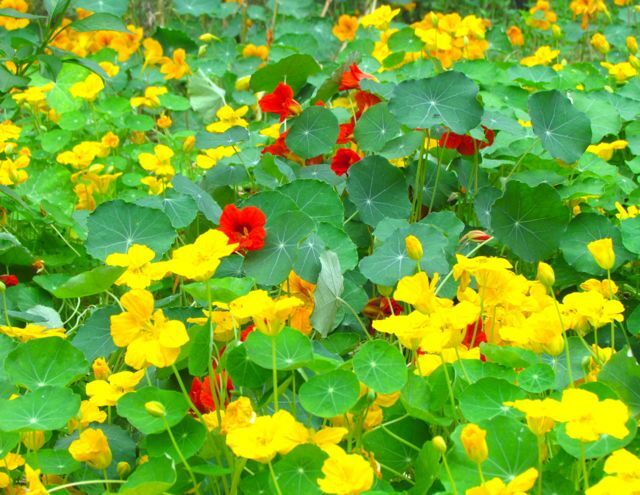 By the time the first hard freeze killed the nasturtiums, I was secretly relieved. They were mounding over paths and beds in all directions — gorgeous — but reminding me just a little too much of that evil southern invader, kudzu. In summary, my test varieties this year were mostly very successful. I’d grow most of them again. And I’m looking forward to what Renee’s Garden will be offering for next year’s growing season. Thanks, again, Renee’s Garden, for giving me the opportunity to test your seeds in my garden. This entry was posted on December 18, 2014, 6:11 pm and is filed under Favorite Plants, piedmont gardening. You can follow any responses to this entry through RSS 2.0. You can skip to the end and leave a response. Pinging is currently not allowed. Welcome, Marian. I agree that Renee’s Garden offers many wonderfully tempting seeds for plant-loving folks like us. How exciting that Renee is coming to SC! She writes beautifully, so I can well imagine that her speeches are even better. Thanks for sharing this information with my readers. And thanks for stopping by.